What or who motivated you to open VeganBurg? I became a vegetarian for health reasons and continued for ethical reasons. The news article from the livestock long shadow report in 2009 was the key thing that got me thinking. I have always been passionate about product and branding, hence, I wanted to use my passion and skills to contribute to something larger and more fulfilling. And that was how VeganBurg was born. In short, using my passion and skills to contribute to the betterment of the world is my key motivation. I realize the solution is in the patty. We cannot change the fast food industry but we can change what goes into the stuff we eat. My daughters are also my inspiration; I want them to grow up eating fast food which they will be proud of. I want to create a burger for them and for many generations to come. As I understand, you became a vegetarian about 18 years ago. Why the change? I had major health issues because of my "Fear Factor" style diet, i.e. eat anything and everything. I was constantly feeling ill until a friend convinced me to try being vegetarian and it worked immediately. I started feeling better and all the unwanted symptoms disappeared eventually. How long did it take for you to start up the restaurant? Eight months from scratch in Singapore and around two years in USA. Any challenges you faced or obstacles that you had to overcome in the process of opening VeganBurg? In Singapore, there is a lack of variety of vegan products. This is probably because there isn't ample demand. Hence, I have to commit to a minimum order quantity every time I request for a product RnD. For example: I had to pay for 100 buns and patties every week or so while I was experimenting with a new patty and as I cannot sell these as burgers, I gave them away. Another challenge which I overcame was the concept and design of VeganBurg. I did this from scratch! I am grateful that a friend from the renovation industry helped me out by giving me full access to his team and he also placed my project as top priority. In USA, I had to endure even bigger challenges and risks, mainly due to the time frame of setting up the business there. From the application of visa (for my family and me) to the substantial, upfront commitment of funds, without any guarantee of being able to open and operate the business. I risked everything to make it happen. What were you working as before starting up VeganBurg? I was the director of Product Design and Development at TAK Products & Services. In my role, I also oversaw branding and marketing for the company. I co-founded Lamitak, a brand of laminates, in 2001. Why did you decide to commit full-time at VeganBurg? It has been the most fulfilling and meaningful work ever and I am still extremely passionate about it today. If you know that you have a solution that could contribute substantially to changing the world, and to end world hunger, I am sure you will fully commit to everything so as to make it work. Why choose San Francisco as the first overseas outlet? Our purpose is to bridge the world’s food system back to that of the 1950s. VeganBurg is a natural fit for San Francisco. San Francisco is a city that is progressive and cares about the environment. We couldn’t reignite the iconic 60’s revolution of peace, love, equality, and freedom anywhere else. What are your future plans for VeganBurg? Our vision is to be the burger of the new generation and I will keep working to make it happen. What is different about the San Francisco location, versus the Singapore locations? Our San Francisco location has local elements in the decor of the store, such as a welcome mural with the Golden Gate Bridge. We also have a community tree in the store. Why did you choose San Francisco? San Francisco offers a natural market for VeganBurg. Who we are fits so naturally in this city. VeganBurg is an innovative 100% plant-based fast casual restaurant serving tasty vegan burgers with a fresh attitude. We love San Francisco, especially for its value of sustainably sourced produce and historical commitment to love, peace, and equality. There’s no better place to launch the new generation of the plant-based lifestyle. Where else are you planning to expand within the U.S.? Do you have any idea how many locations you'd like to open? We want to do good for our planet, so however many locations it takes to encourage and excite the world to choose a plant-based diet. How do you think VeganBurg will change the way people in the U.S. see burgers? Our motto is ONCE BITTEN, TWICE WISE! 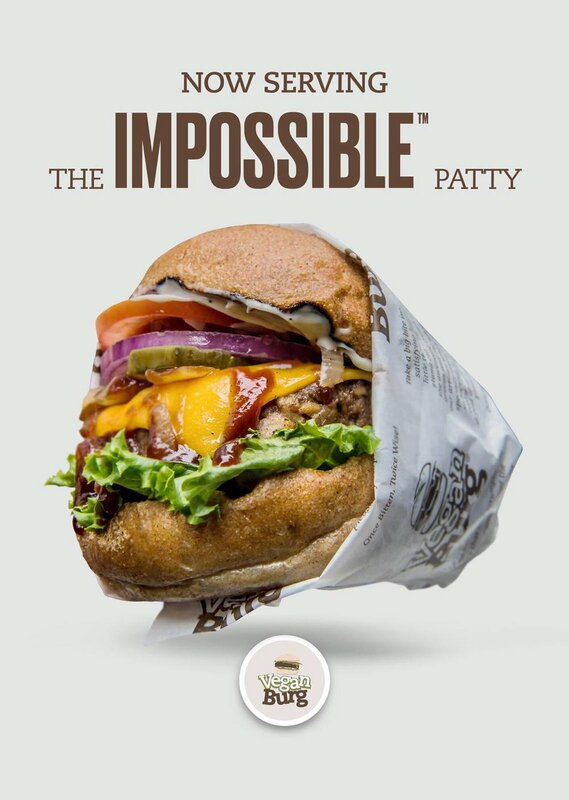 Planet Warriors (all people), from vegans to vegan virgins, who come to VeganBurg will see burgers as a guilt-free tasty comfort food that promotes a sustainable planet. Our burgers are tasty and make people feel good. Burgers won’t be just an indulgence food any longer. What prompted the move to San Francisco? Why did you move to the US? We are all about making the most amazing burger. Vegan or not. In order to realize our vision and mission, I have to be in the land of fast food franchises and show we have the best burgers anywhere. I'm committed to make this happen and the only way to do this is to give 100%. So, I decided to move my whole family to San Francisco and focus on VeganBurg and our mission. Why SF? Why the Haight? I think VeganBurg is a natural fit for San Francisco. San Francisco is a city that is progressive and cares about the environment and people that will take action. It has an abundance of natural and wholesome fresh produce. It has a diverse culture and will help my family transition to this land of opportunity and help change the world. As for the location - why the Haight? Because it is the iconic 60’s revolution of peace, love, equality, and freedom. We love the energy and what it stands for in the 60’s and we want to reignite that revolutionary spirit not just for human beings but for all sentient beings. We want the same type of revolution that started here in the 60’s to ignite the changes of today. You mention VeganBurg being "the burger of a new generation." Why is that? What differentiates VeganBurg from other veggie burgers and vegan businesses? We're a sustainable fast food establishment that is focused and committed to creating the most amazing vegan burgers with the best of both Eastern and Western influences. We have the knowledge and products to push the envelope of how a vegan burger should look, feel, and taste. We hand-make and do very stringent quality checks for our own patties with our proprietary in-house recipes developed and governed by family members. We pair all our burgers with GMO-free potatoes and our artisan buns are always sourced locally, made fresh and delivered daily. Not something you will find in a typical fast food joint. We offer freshly grilled broccoli as a healthy yet tasty alternative side dish. The new generation gets our mission. VeganBurg is the burger and brand of the new generation and for many generations to come. I care about my daughters and our children's children future. What would happen to them and our planet if the world's burger fast food system continue to be the way it is? In fact, VeganBurg is created and inspired by my daughters. After all, they're part of the new generation. We're 100% family-owned and operated and I want that to continue. My family and I work hand in hand. We have inspired many brands to start and will continue to do so which is awesome as we cannot do this alone! We were the first and will continue to lead with our Mission. While other brands will continue to grow with different branding names to avoid using the word vegan because of its past association with ethics and health. We don't. We choose to face up as it's truly the solution to the world for sustainable living . VeganBurg will always be unique and true to what we do. Rather than avoid the word vegan, all we have to do is redefine and embrace it - make an impact. To make it hip , fun , cool , and most of all tasty. We're here to make veganism mainstream. We are more than just a brand, we're more than just our products. We're a community of people who are passionate about changing the world, one burger at a time. How do you keep things fresh/exciting at Veganburg? We keep things fresh and exciting for our customers by regularly introducing new Seasonal Specials. For example, we launched the Chili Krab burger for National Day last year, made with vegan konjac ‘crab’ meat patty and a chili crab sauce made from scratch, and we welcomed the Christmas holidays with the launch of the Trufflebello Burg, which was inspired by classic fall and winter flavours and consisted of a festive concoction of superfoods! We also kicked off the spooky spirit of Halloween 2017 with the launch of the Thriller Burger, consisting of a ghoulish black charcoal bun and served over a tray of bewitching dry ice. We are focused and committed to offering our customers the best green and sustainable experience possible – from eco-friendly lighting to packaging, and from tables made from upcycled wood pallets and compostable takeaway cutlery, down to the very last bite of burgers made with GMO-free patties and artisan buns that are sourced locally. We enjoy enticing our customers’ pallets with fun and innovative sustainable fast food, like our freshly grilled “Sizzlin’ Broccoli”, which is a healthy yet tasty alternative side dish. Again, our mission is to inspire and excite the world to choose a plant-based burger as a form of sustainable living, so naturally we are constantly finding ways to keep things fresh and exciting for our customers! What are the highlights of your back story? In the beginning, there were very limited plant-based products and ingredients in the market for research & development. Meatless alternatives usually contained milk and egg. As a result, the team had to commit to minimum order quantities every time ingredients were sourced for R&D purposes, which resulted in a whopping 54% in food cost in the first year of operations. What makes you different/unique? Do you have any products not found elsewhere? We are committed to making the most amazing plant-based burgers with the best of both Eastern and Western influences. We have the knowledge and products to push the envelope of how a plant-based burger could look, feel and taste! For example, in our Haight outlet, we serve the Haight ‘n’ Salsa, a tribute to the neighbourhood’s eclectic, vibrant hippie vibes, and in Singapore, we launched the Chili Krab burger to celebrate National Day, which was inspired by Singapore’s much-loved Chili Crab seafood dish. Both burgers are truly uniquely VeganBurg. We also focus on giving back and strengthening our communities. VeganBurg has been certified a San Francisco Green Business by the San Francisco Department of the Environment. All our packaging and restaurant interiors are sustainable and eco-friendly, from LED lighting with timers, to tables hand-made from upcycled shipping pallets, 100% compostable cups and cutlery, and down to your last bite of burger that saves water, prevents deforestation and promotes biodiversity. Everything had been designed to reduce one’s carbon footprint in order to minimize our impact on the environment. We also forge partnerships with several non-profit organizations, such as Tzu Chi Foundation for Ethical Eating Day and to sponsor meals to their partnered schools. We regularly partner with The Humane League, a leading international farm animal protection organization, and sponsor meals to their fundraisers. In fact, VeganBurg was officially crowned Vegan Business Of The Year 2017, chosen by The Humane League! How has the vegan food scene in Singapore changed since you opened eight years ago? Have you noticed any recent trends? More and more people are becoming receptive and open to consuming plant-based foods, and this has reflected in the shift of our own customer base since we established in 2010. When we first opened, our customer base was 70% vegetarians and 30% non-vegetarians. Now our customer base consists of 80% non-vegetarians! Not only that, the “v” word has now gone mainstream and there are now lots of celebrities who are raving about plant-based diets just like Ariana Grande, Liam Hemsworth, Miley Cyrus and Lewis Hamilton! What do customers say is their favourite thing about your business/service? That we make plant-based burgers accessible, hip, fun, and most importantly, tasty. We’re more than just a brand selling products, we’re a community of people who are passionate about changing the world, one burger at a time. How does VeganBurg embrace sustainability across its business? In August 2017, VeganBurg was officially recognised as a San Francisco Green Business, extensively fulfilling all measures listed on the SF Green Business Program Standards, including but not limited to: utilising napkins containing a minimum of 50% post-consumer waste recycled content, instituting a zero-waste policy for catering events, eliminating the use of plastic bags, utilising energy-efficient cooking equipment, replacing all T-12 fluorescent lighting with energy-efficient T-8 or T-5 fixtures with electronic ballasts, and tracking monthly water use. An article published by the Business Times highlights our efforts here. We also partnered with PM Haze in 2017 to officially switch to sustainable palm oil. This means that the oil used at VeganBurg guarantee that the producers of our sustainable palm oil respect and consider the welfare of local people, their communities and surrounding wildlife, and oil production does not contribute to rainforest burnings. Other green policies we implement are the strict usage of corn bags as opposed to plastic bags, biodegradable straws and proactively educating our customers on the importance of saying no to single-use plastics, cornware, biodegradable takeaway packages and serviettes made with recycled material. What is the future for VeganBurg in Asia? We are working with partners to expand our footprint throughout the South East Asian region as part of our global strategy. What is the future for vegan eateries in Singapore, and Asia more broadly? There is definitely a growing community of Vegans in Asia, and even more so, a growing community of eco-conscious consumers who are receptive to Vegan food. As demand continues to grow, so will the number of vegan dining options – which is great! In fact, Singapore was named second most vegan-friendly city in Asia by PETA and sixth most vegan-friendly city in the world by HappyCow. We will only continue to see the trend of vegan dining rise.